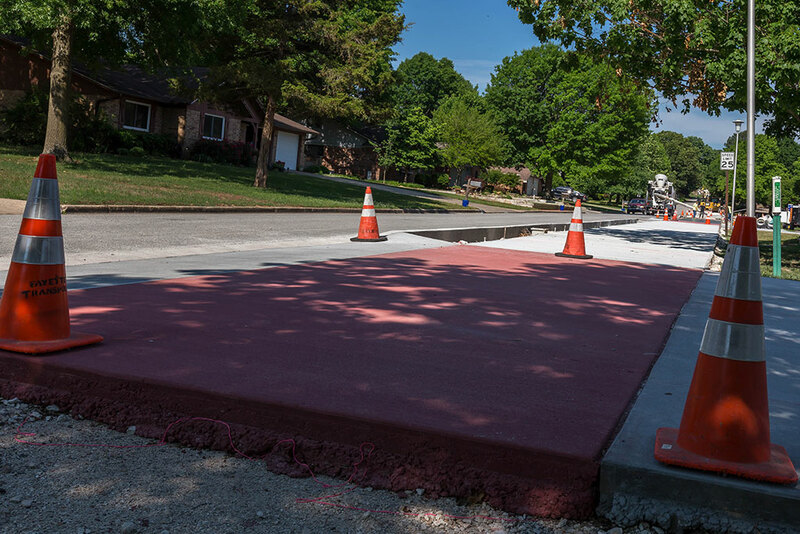 Crews work to pour concrete on the north side of Sweetbriar Drive Tuesday in east Fayetteville. Construction has begun on Niokaska Creek Trail in northeast Fayetteville. 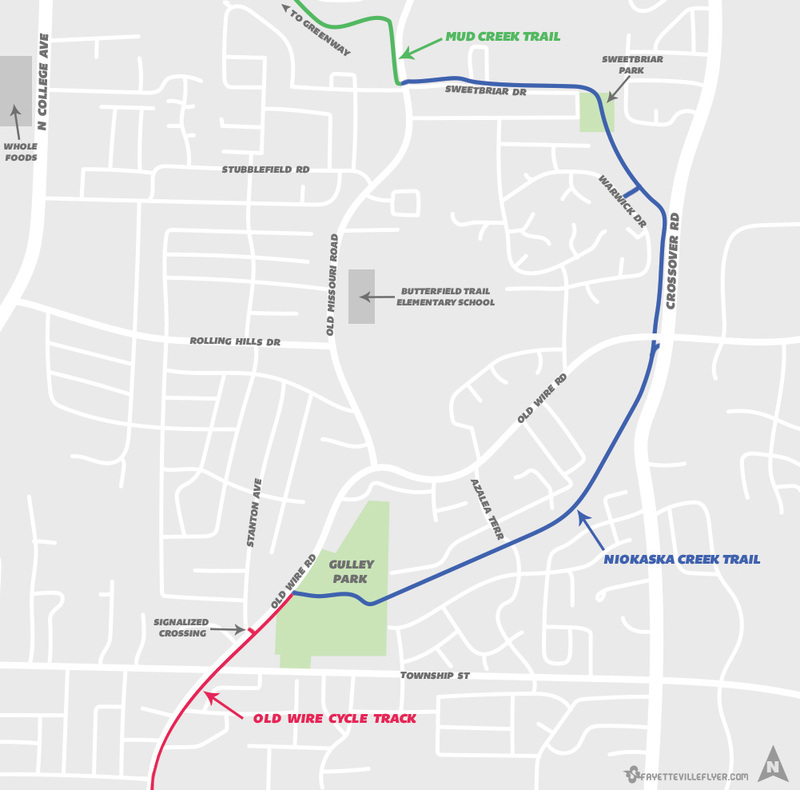 The new trail connection will link the Razorback Greenway to Gulley Park. The pathway will extend east from the current endpoint of Mud Creek Trail at Old Missouri Road. From there the trail will follow the north side of Sweetbriar Drive through Sweetbriar Park before heading south near Crossover Road and then turning west toward Gulley Park. The plan is to use an existing creek tunnel under Old Wire Road where the street intersects Crossover Road. A portion of the Gulley Park Trail will also be used for the project, and will require replacing two 5-foot bridges with new 12-foot bridges inside the park. The work also includes replacing about a mile of dilapidated asphalt along the park’s existing trail loop. City officials said the new trail will run within a half mile of an estimated 4,000 Fayetteville residents who previously had no nearby access to the trail system. The new trail will eventually extend another mile southwest from Gulley Park along Old Wire Road to Mission Boulevard using a series of paths being built as part of the Old Wire Road Improvement Project. A portion of that work was recently completed which includes a 12-foot-wide shared-use path from Mission to Ash Street. A second phase will soon begin that will include the region’s first dedicated cycle track from Ash to Gulley Park. The cycle track will run along the east side of the road, and will include bike-specific signal upgrades at Township Street. A signalized crossing at Stanton Avenue is also in the works that will help residents safely cross over to Gulley Park from the west side of Old Wire Road. The project is set to be completed in mid-2019.